FORT MYERS, Fla. - March 15, 2019 - PRLog -- Uncommon Friends Foundation's Distinguished Speakers Series presents "An Evening of Heroes and Inspiration" on April 10, 2019, featuring three courageous military heroes who have 77 years of military service among them. Two were also captured, imprisoned and tortured, requiring them to summon immense courage and fortitude to outsmart captors and survive captivity. All three went on to successful careers of leadership and service to their country. Honored speakers will be retired Army MG James L. Dozier, retired, Air Force Lt Col Gary L. Peppers, and retired Air Force CPT Wayne O. Smith. Hear each officer relate his own compelling story of strength and perseverance and how they survived very difficult experiences and eventually returned home and continued to serve others for good. The program will run from 6 – 8 p.m. at the Gale McBride Pavilion at the Burroughs Home & Gardens, located at 2505 First Street in Fort Myers, FL 33901, preceded by a social hour from 5 – 6 p.m. Appetizers and beverages will be served. For reservations, call Executive Director Jennifer Nelson at 239-337-9503 or at jennifer@uncommonfriends.org. Ticket prices are $50 for adults and $15 for students. 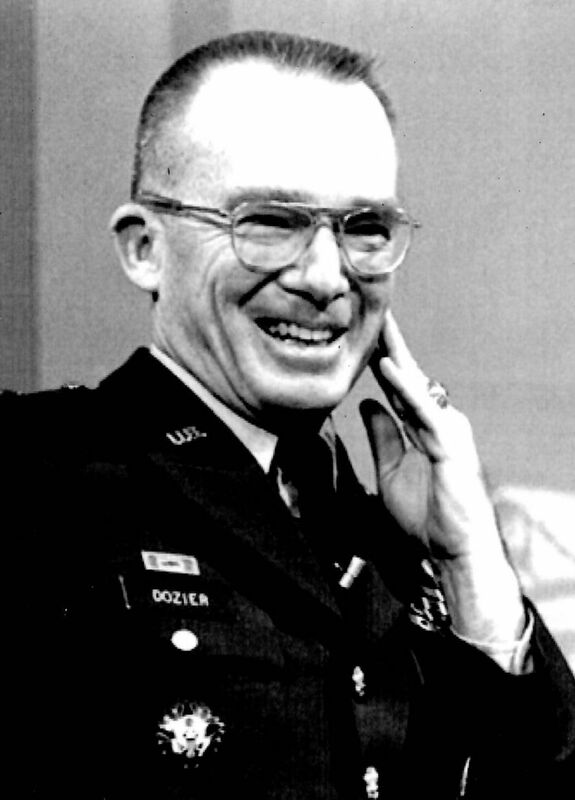 General Dozier is an international terrorism expert who served 35 years in the Army from 1950 to 1985. He was stationed in Italy in 1981 when he was kidnapped at gunpoint and held by terrorists of the Red Brigades who were known to maim and kill high value captives. He was rescued by a special operations unit of the Italian police after 42 days of interrogation and torture. Colonel Peppers served 33 years in the Air Force (1971 - 2000 and 2009 - 2013) as a military pilot with over 4,000 hours of high-stress air combat missions in a wide variety of helicopters, fixed-wing aircraft, and remote-controlled MQ-1V Predators in Iraq, Afghanistan, and in the campaign to overthrow Gaddafi's government in Libya in 2011. Captain Smith flew 90 air combat missions over Vietnam before being shot down and taken prisoner on January 18, 1968. He was a captive for over five harrowing years in the notorious prison camp known as the "Hanoi Hilton" where he, Navy Lt. Cmdr. John S. McCain 3d, and countless others were malnourished and severely tortured. He was among 108 prisoners who were freed on March 14, 1973 during "Operation Homecoming." Uncommon Friends Foundation board member and past president Gray Davis, Agency Executive and Senior Vice President of McGriff Insurance Services will moderate the panel discussion. Major Davis retired after 21 years in the Navy and Marines, earning the Marine Corps Commendation medal as the Commanding Officer of the largest Enemy Prisoner of War facility in Marine Corps history. The nonprofit Uncommon Friends Foundation is celebrating its 26th anniversary in 2019 and is dedicated to lifelong character building among today's youth and business leaders. It strives to inspire future leaders toward excellence of character, a spirit of innovation, and a sense of purpose. Through character education, business ethics programs, scholarships, and historic preservation of the Burroughs property, the Foundation carries on the generational values of Fort Myers businessman Jim Newton and his friends Thomas Edison, Henry Ford, Harvey Firestone, Dr. Alexis Carrel, and Charles Lindburgh. For more information, visit https://uncommonfriends.org.